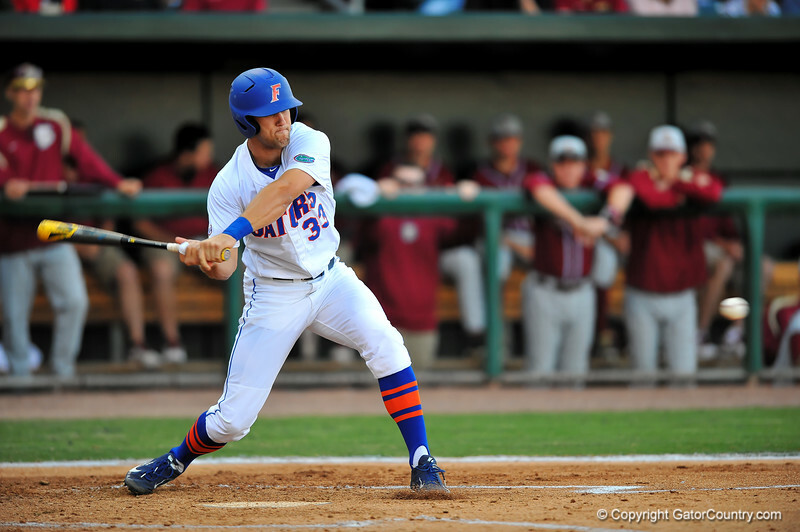 Florida outfielder Braden Mattson swings and drives the ball for a base hit that brings home the first run of the game. Florida Gators vs FSU Seminoles. March 25th, 2014. Gator Country photo by David Bowie.